I like to ski...a lot. I also like to save money though that's more because my sporty pursuits can put a real dent in the wallet...and on the credit card...and in the savings account. Well, not exactly. It's really so I can ski again, and again, and again. And when you live 1,000 miles from a ski destination, it's those other costs--flight, transportation, eating out, and lodging--that start to add up. Sound familiar? Maybe you've debated over where you want to spend your winter skiing--and how long and when. Maybe you've tried to talk yourself out of the need for a season pass. Maybe you've been trying to tack on more ski days to your upcoming schedule to justify the need for a season pass. Maybe you've been saving your pennies waiting until the last possible second to pull the trigger on buying your season pass. But you know you want one, and you know you can't go a season without skiing, and you know you can't, or shouldn't, spend top dollar to make those turns in your favorite powder stashes (that's me). Whatever your excuse is for not currently having an Epic Pass in your arsenal for the 2011-2012 season, aside from living closer to another mountain in say Montana or Wyoming or Utah, your time is about to expire. The deadline to purchase one of the five Epic Pass options to ski seven resorts in Colorado and around Lake Tahoe--Beaver Creek, Breckenridge, Heavenly, Keystone, Northstar, Vail, and Arapahoe Basin (not owned by Vail Resorts but still just as awesome to have in the mix)--is today, November 29. And if you don't decide by midnight tonight, you're truly SOL because that means you have to buy lift tickets per time, which can add up if you plan to ski more than seven days at one or all seven of these mountains. Ouch. Take the Tahoe Pass, the least expensive of the bunch at $389. Sure you have some restricted days, but what local would really want to be at Heavenly or Northstar when it's tourist central over Christmas, Martin Luther King Weekend and President's Weekend? When a lift ticket costs close to $100 or more, depending on where you're skiing and when, you can make up the cost too quickly to pass up the bargain. The same holds true for the Summit Local Pass ($429) and the Epic Local Pass ($519). The Summit pass means you're limited to Breckenridge, Keystone and Arapahoe Basin because they're all located in Summit County, Colo., but that's nothing to shirk at. 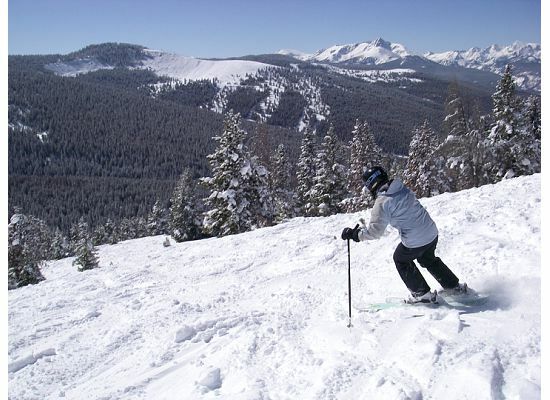 And the Epic Local only means that you can ski wherever you want, Colorado and Tahoe, but with those holiday restrictions and only 10 days of skiing at Vail and Beaver Creek. Didn't catch all those restrictions and pass benefits (like the awesome EpicMix that makes skiing social and even more addictive as you rack up vertical, pins and now photos)? You can read all about them at snow.com. And get buying in these final hours!